What to do in Barcelona by night? I’m sure you’ll be asking yourself that question if you’re thinking of travelling to Barcelona in the nearest future. Well, the answer is very simple. You can do almost anything, because the list of leisure activities is endless. In Barcelona one will find restaurants to savour a meal with all kinds of flavours and whatever the budget is. One will also enjoy its terraces, pubs and discos. And on top of that there’s usually an intense programme of shows and performances. An excellent dinner will be served to you anywhere you go, be in the Gothic Quarter (Barrio Gótico), the Eixample, the Maritime Port, the Barceloneta and other neighbourhoods. You may check out some small and inexpensive burger places, only to compare them later to Barcelona restaurants with Michelin stars, where they use the most out-of-this-world recipes. And between one extreme and another there are plenty of other places offering you different cuisines of the world, since all of them represent Barcelona in one way or another. Check out our article eating in Gràcia, Barcelona if you want to eat out in this bohemian neighborhood. Barcelona restaurants can please every single palate, irrespectively of the taste and the budget available, and the same can be said about the shows which Barcelona nightlife offers. For example, the choice of theatres is very large. There are big ones like the National Theatre of Catalonia, the Tivoli or the Romea where the most prestigious companies perform. Also, there are medium-sized and small halls where independent and alternative theatre groups will surprise you with the quality of their performances and their risky and innovative bets. Something similar happens with music concerts. Every night there are concerts in at least one of the concert halls of Barcelona. And to name but a few, here come the names: the Razzmatazz hall, the Apolo or the Bikini hall. If you are more into rock, check out what is planned for your stay in Barcelona and see if there are any concertsyou are interested in. With some luck, in one of these venues you will be attending the show of a national or international music star. 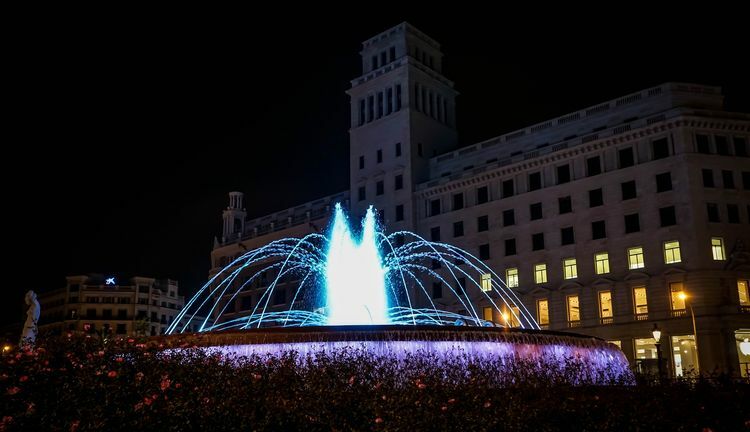 Check out the best events in Barcelona for 2019 for more information. Barcelona is one of the most visited cities by world-famous dj’s. And not only during its intense music festivals, such as Sonar – the ultimate expression of electronic music. Throughout the year you can listen to fantastic music of different genres in the most popular clubs of the Catalan metropolis. Which are the best clubs of Barcelona? It’s hard to choose, but to give you a clue on how to spend an unforgettable night going out in Barcelona, we’ll name Opium, located in the Barceloneta neighbourhood, next to Shoko, which hosts a restaurant before the midnight, and turns into a disco after. 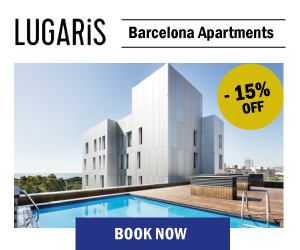 By the way, both are relatively close to the Lugaris apartments, be it Lugaris Beach or Lugaris Rambla, so that after a lively night your accommodation will be literally a stone’s throw away. A nice detail, isn’t it? However, if you prefer to look for other nightclubs in Barcelona, you may also visit the Teatre Principal on the Ramblas, where an old theatre, the oldest in Barcelona, nowadays houses a fun dance hall. Otherwise, come and visit the iconic Bling Bling in the exclusive Zona Alta. We have already talked about clubbing Barcelona, and now it is time to check out night bars, pubs, cocktail bars, etc. Since it would be just impossible to name them all, we’ll just talk about the most popular areas, so you know where to go by night. In the first place, between the Passeig Marítim and the Olympic Village (both in Barceloneta) there is an area where you will find a lot of night owls (and many of them will be tourists the same as you). As we have already mentioned, a lot of famous clubs are located here, and there are also many other trendy bars and terraces on the beach. We mean it when we say that there are indeed many of them, and this is good in a sense that they all compete on quality with one another. To get a better idea – visit the terraces of the Carpe Diem or the Danzatoria which offer sea views. Here you will also find many of the best rooftop bars in Barcelona. Now we suggest that you move towards the Eixample and the city centre including the surroundings of the busy Rambles. A very bustling area of Barcelona with the abundance of bars and pubs. Here, in contrast with the previous area, pubs and bars are more separated from one another which results in cheaper prices. And if you are gay, it´s a must to take advantage of your trip to Barcelona and visit the area known as the Gaixample, where you will find one of the most famous liberal places: the Arena. Another nightlife area is located around Avenida Diagonal, between Francesc Macià and Carrer Balmes. This area is called Zona Alta (the Upper Zone). The name can be related to both its location and the level of exclusivity that certain premises demonstrate. And finally, we want to tell you about nightlife in the Poblenou neighbourhood. Its liveliness cannot be compared with that of the previous areas, which is a good thing, as the apartments of Lugaris Beach and Lugaris Rambla are located here. That means that you can rest with total tranquillity. However, strolling along the streets near the Plaça de les Glòries Catalanes, you will always find a place to relax and have a drink. Want to know more about Barcelona at night? Do not hesitate and leave a comment if you have any further questions about where to go. Congratulations on the article! Could you let us know if the discos in Barcelona mentioned are all open during the winter and what time do people usually enter the place? Thank you for you kind words. They are generally open all year round. People usually start arriving at discos at around half one in the morning up to three o’clock. Moreover, you can take a look at our article on the best pubs and clubs in Barcelona if you need more information.